One is held on the weekend closest to St. Andrew's Day (late November). 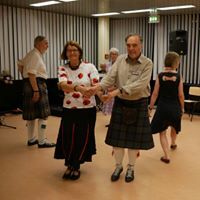 The other, the "Spring" Ball With live music (in May or June), is combined with a training course with an invited teacher. Information about this May's Event and booking form.